Pages 80 through 84 are not posted (to protect the private information of living people). 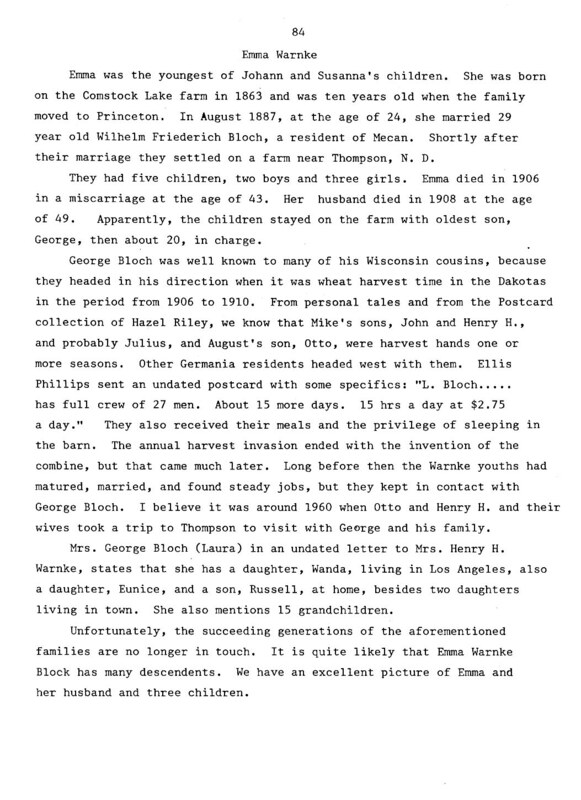 Note from web designer: Could William Friederick Bloch be related to Ellis Phillips' grandfather Friedrich Wilhelm Block? 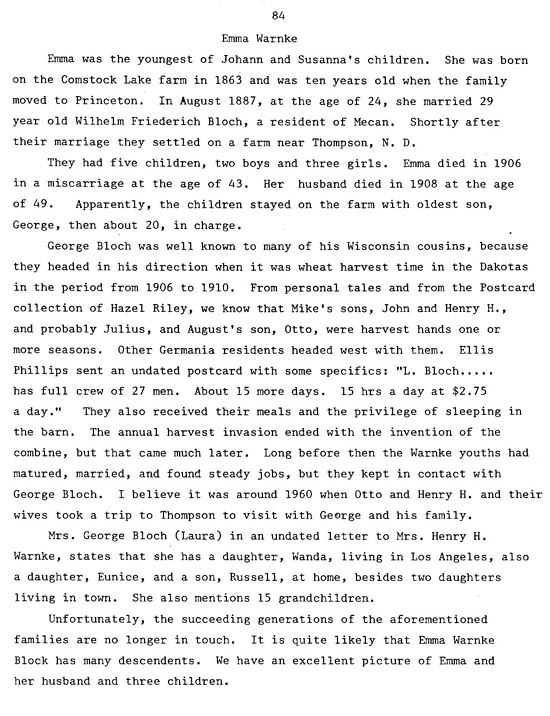 Ellis Phillips and William Bloch are mentioned in the above page.